Blackboard Collaborate™ gives you the functionality you need to support a 21st century teaching and learning environment, such as two-way audio, multi-point video, interactive whiteboard, application and desktop sharing, rich media, breakout rooms, and session recording. Educators and students can engage as if they were in a traditional classroom, with as good as, or even better, outcomes. 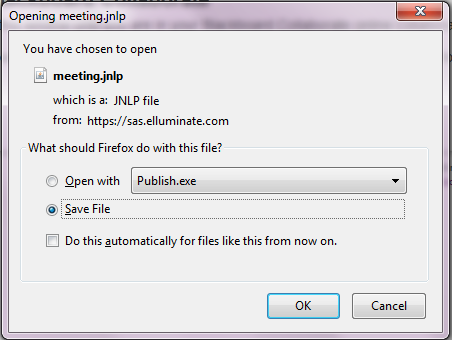 Open the file (Internet Explorer may automatically open the program). 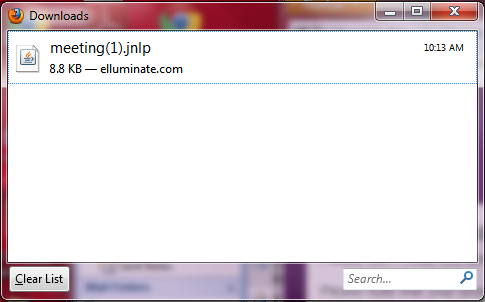 For Chrome and Internet Explorer 9 users, your downloads will appear at the bottom of the window. For Firefox and Internet Explorer 8 and previous, your downloads will show in a pop up window. 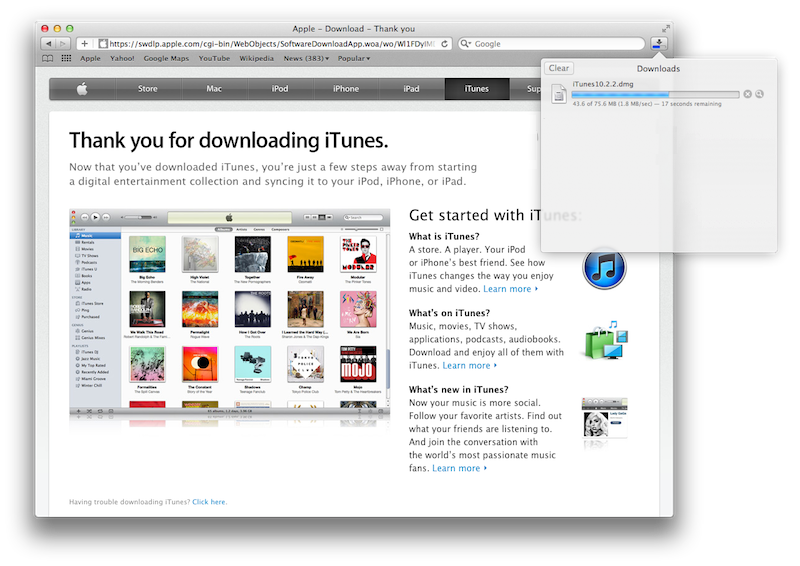 For Safari users, your downloads will appear in the upper left corner. 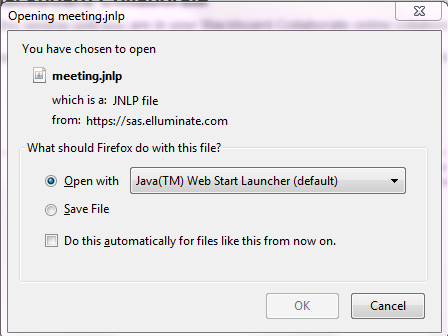 When asked to choose a program, use “Java Web Start” whether you are running an early version of IE, Firefox or Safari. 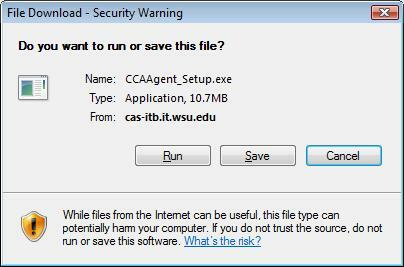 Click “Run” (You can also click “Save” then “Open” once the download is complete). Blackboard Collaborate will launch once the download is complete. Windows user: go to the task bar in the bottom right corner and left-click on the speaker icon. Uncheck the mute button and adjust the slider so that it isn’t at the bottom and high enough that you can hear well. If your session launches but contains errors, check to make sure that Java has not been disabled in Firefox. There will be a small red icon that looks like a piece of Lego. Clicking on this icon, will bring up the dialogue box shown below. 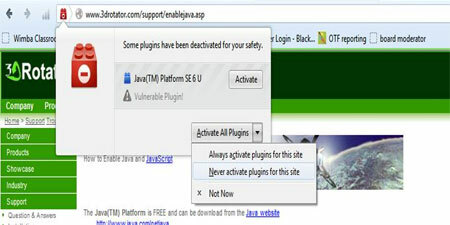 Click on the menu in the bottom right corner and select "Always activate plugins for this site." If you were able to hear at a comfortable volume, hit yes. If not, hit no. Once your sound out is set, it’s time to configure your microphone. Select the microphone you wish to use from the list. Hit the “record” button and speak into the microphone as if you were speaking to others. Hit the “stop” button. Play the recording to ensure everything is working. If your microphone is working properly, hit yes. 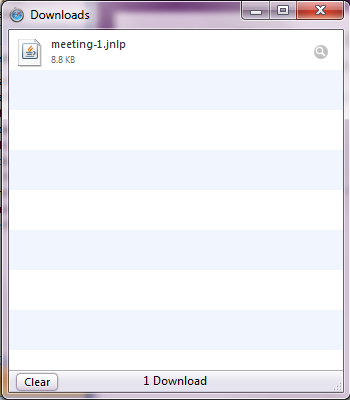 Click ok and enjoy your meeting!